Each year, CFPA's CalFresh Forum brings together hundreds of key stakeholders from across the state to identify opportunities and discuss strategies to improve the reach and impact of CalFresh.The 2017 CalFresh Forum, in collaboration with the California Department of Social Services CalFresh Branch and the Alliance to Transform CalFresh, will focus on upcoming opportunities to improve how CalFresh serves vulnerable populations as we look to the future and continue to work toward improving access and participation across the state. 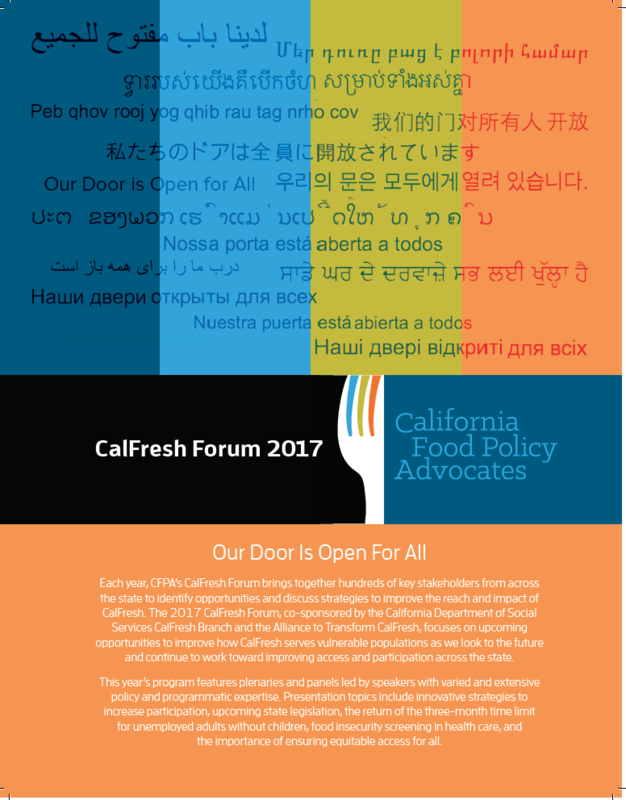 2017 CalFresh Forum Event Program Now Posted! 2017 Freshy Award Voting Now Open! Now Accepting 2017 "Freshy" Award Nominations! 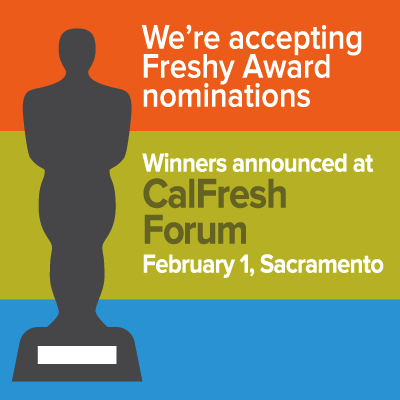 Each year, CFPA recognizes Freshy Award winners in acknowledgment of individual Californians, as well as organizations, from across the state that have worked diligently in the last year to improve CalFresh.